Autumn is well and truly here. The leaves have fallen from the trees, nice and slimy with all this rain we’ve been having. My birthday has been and gone and there is a nip in the air. I’m not a huge fan of the change of weather as I’m more a flying South for the Winter type of person. I also think I would make an amazing bear due to my hibernation skills. That being said, I tend not to have a lot planned on the weekends in October which means I get to spend the weekend pottering around the kitchen and baking new treats to share with you in thick socks and the tunes turned up. With all my time baking it’s the perfect to nag you all to take part in my Virtual Bake Sale for Macmillan Cancer Support. Check out the details now here. 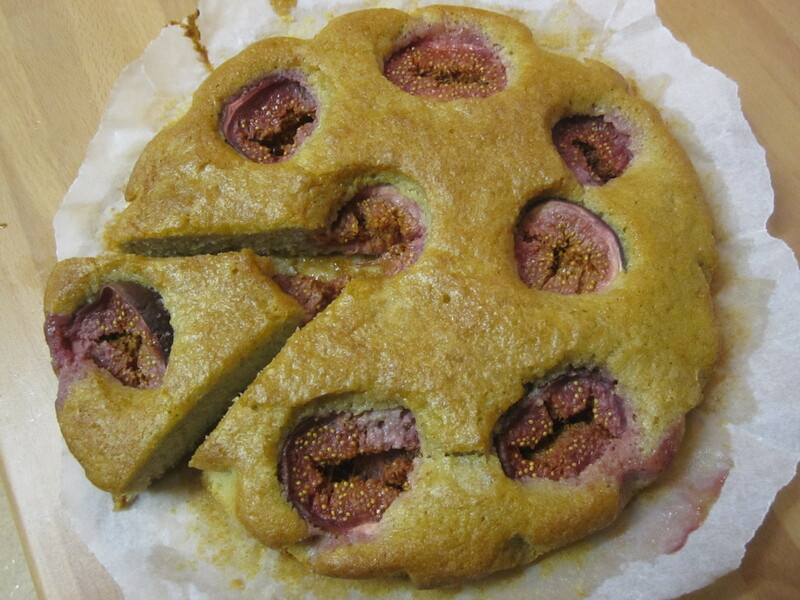 I’m going to link this delicious fresh fig and almond cake to the Virtual Bake Sale to donate the cost of the ingredients to support people and their families affected by cancer. Oven to 180C. Line the base of a 8″ round springform tin with parchment paper. 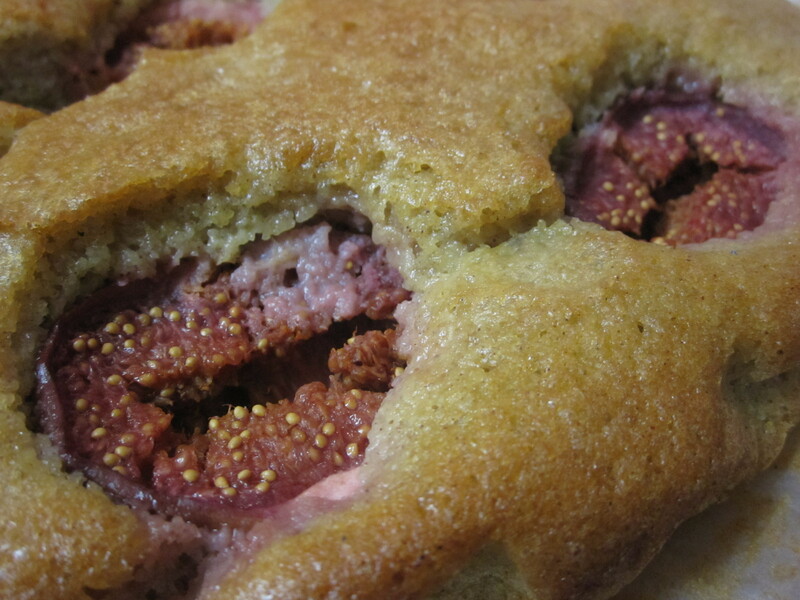 In a bowl mix the ground almond, flour, caster sugar, baking powder and cinnamon. Whisk in the eggs, melted butter and vanilla to a smooth batter. 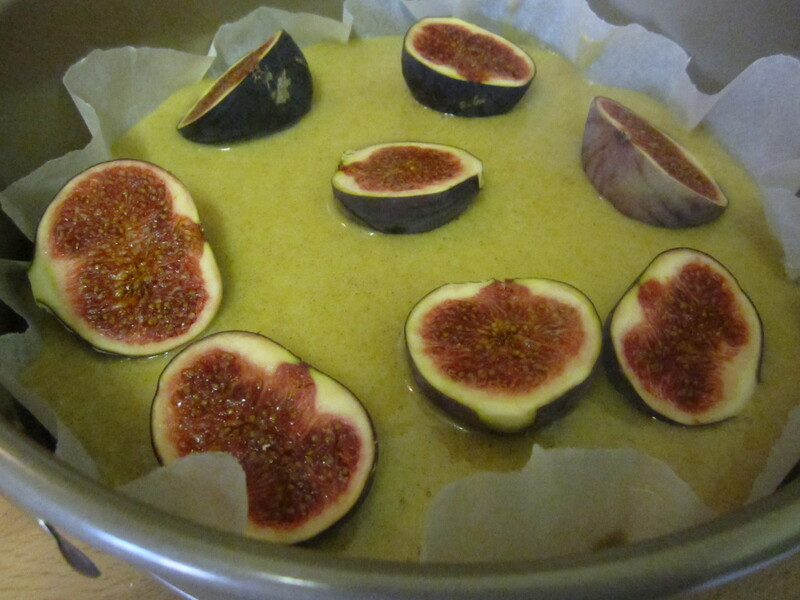 Pour the batter into the prepared tin and set the fig halves cut upwards into the batter. Sprinkle the extra caster sugar over the top. 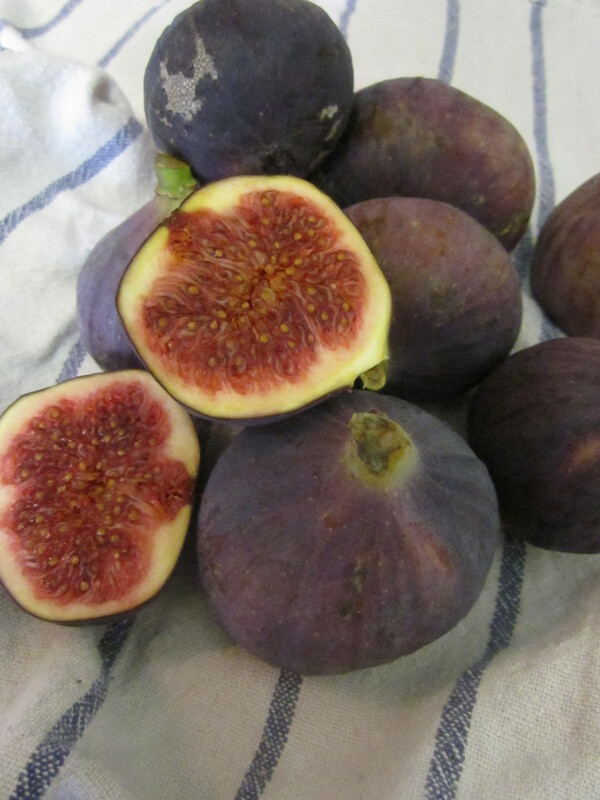 Bake for 30 minutes, until golden and the figs are nice and juicy.